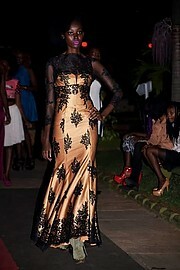 Georgina is a model/ student pursuing a bachelors degree course. She is a professional salsa,bachata and kizomba dancer Talented in arts and design, drawing enables her to express her ideas and herself. Based in Nairobi city she is looking to network and connect with experienced and professional photographers and models as well as modelling agencies and organizations to diversify and better herself. She is extremely passionate about a career in modelling. She is flexible and available for fashion and print projects.